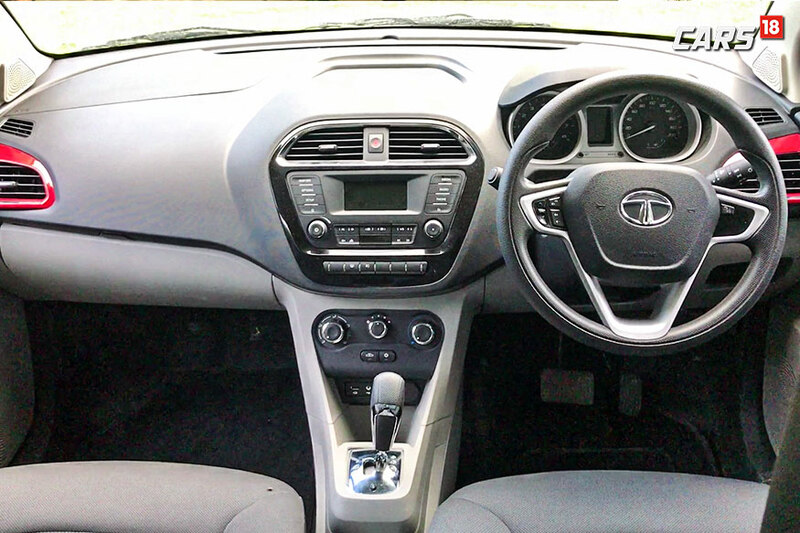 The Tata Tiago AMT offers the convenience of clutchless driving in a very attractive-looking package. If you were to consider buying a hatchback in less than Rs 6 lakh, then the chances of you missing out on the Tata Tiago are rare. And there’s good reason for that, the car looks good, gets the job done, is loaded to the brim with features and has established itself as a popular choice of a hatchback in the market. But there was one thing that many asked for in the Tiago and Tata Motors have finally given it – an AMT transmission. Available in the fully-loaded top-end XZA trim, the AMT equipped variant costs Rs 5.36 lakh (ex-showroom, Delhi). The company also recently launched another variant with the AMT transmission that sits below it in the form of the XTA trim which is priced at Rs 4.79 lakh (ex-showroom, Delhi). We tested out the XZA model to see whether it manages to justify the Rs 37,500 premium over the top-end petrol model. The Tata Tiago AMT is identical to the manual-transmission powered variants in every way barring a few changes. The badge at the back now reads XZA, or XTA depending on your choice of variant, and the AMT gear lever inside the cabin. The other change includes the obvious elimination of the clutch pedal as you don’t need one in this case. And the minimal changes to the design is not a bad thing in any way as the Tiago has always been a very good looking car. The design is neat with clean lines across, there’s a gentle use of chrome and there isn’t any over the top drama going on when it comes to design. Once you hop inside the car, you are greeted by a very mature-looking cabin layout. There are several shades used inside the cabin – chrome, piano black, a two-tone dashboard and silver accents – but they are all used in the right places and in the right amount. Whereas the design of the cabin is great, the quality of materials used is decent at best. There are several compartment spaces too, 22 to be exact, and all four doors can hold a 1-litre bottle. The seat and the steering are height adjustable as well and the boot space is a generous 242 litres. The car is loaded with features like dual airbags at the front, ABS with EBD and the wonderful 8-speaker ConnectNext infotainment system which has been developed in partnership with Harman Kardon. 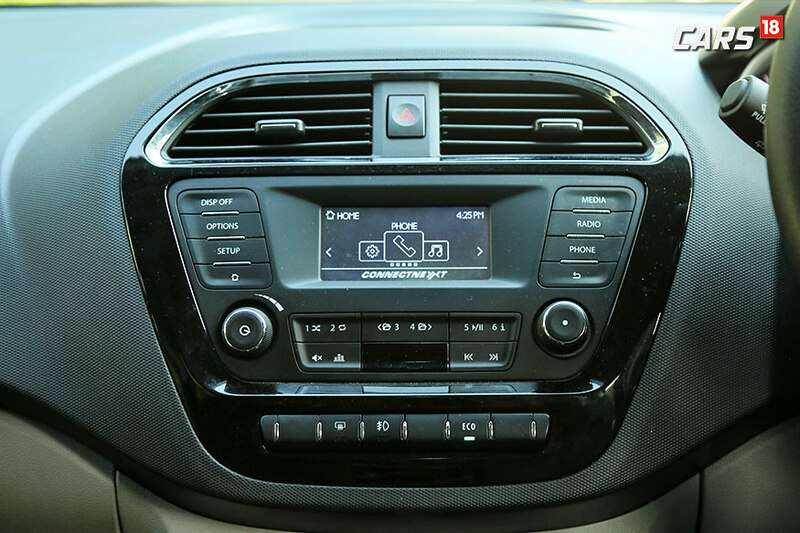 In simple words, the in-car infotainment experience of the Tata Tiago is right there as one of the best, if not the best, experiences that you can have in its segment. The infotainment system supports AUX, USB, Bluetooth, and will also give turn-by-turn navigation via the NaviMaps app on your smartphone. Tall drivers won’t have a problem inside the cabin either as there is plenty of headroom, shoulder room and leg-room for all the occupants in the car. Having a height adjustable driver seat and steering, the driving ergonomics can be altered to a great extent as well. Since there are no changes in the suspension setup, the car retains the great ride quality which can help you take on the bad roads and highways with confidence. The steering is also light which makes the car feel peppy and agile. 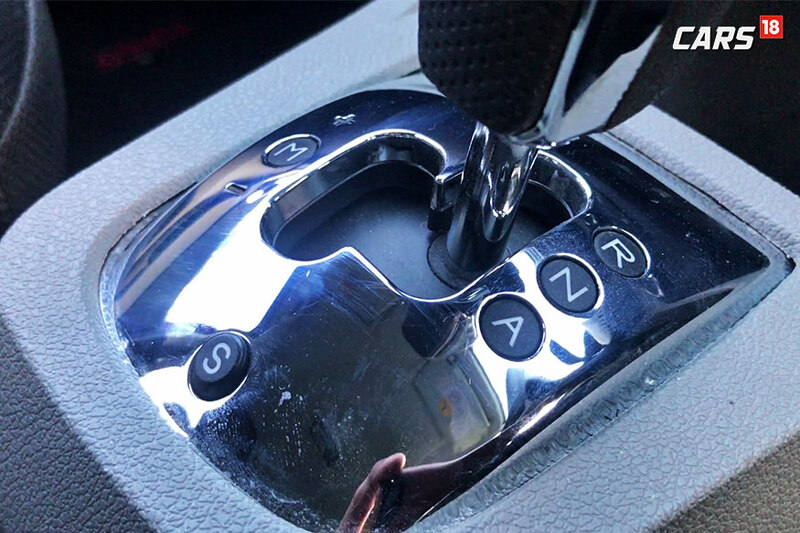 What AMT stands for is an Automated Manual Transmission and it isn’t exactly an automatic transmission. In simple words, the clutch is operated by the car for you. There are quite a few characteristics that come along with an AMT transmission setup and the most notorious one is the “head nod” whenever there is an upshift. It’s there in the Tiago too and since the transmission has been set up in such a way that it delivers maximum fuel efficiency, the gear shifts take place quite low down the RPM range. This sometimes catches you by surprise and the ‘head-nod’ takes place. The 5-speed AMT variant of the Tiago offers two driving modes – City and Sport. The City mode is meant to deliver higher fuel economy whereas the Sport mode, which can be toggled through a button near the AMT gear lever, allows for gearshifts at a higher RPM giving the car a ‘sportier’ feel in turn. The difference between the driving modes is not just theoretical but can actually be felt and it also impacts the fuel economy as well as driving dynamics. But here’s the catch. When you make a car this good, you set the bar of expectations really high and that’s exactly what the case is with the Tiago. So a key thing to note is that one should not expect the gearbox to deliver smoothness of a CVT or a torque converter gearbox. When it comes to sportiness as well, the transmission feels a bit of a let-down and hence, it is best driven with a light feet. And of course, since it is an AMT unit, you always have the big positive of being able to shift into manual mode, which allows you to control the gear shifts as per your liking. A big positive is the availability of creep functionality which moves ‘creeps’ the car ahead the moment you let go of the brakes while being in drive mode. Something that you will highly appreciate in stop and go traffic. Since the car carries over all the traits of the manual version of the Tiago, the air conditioning unit remains to be a sore point. 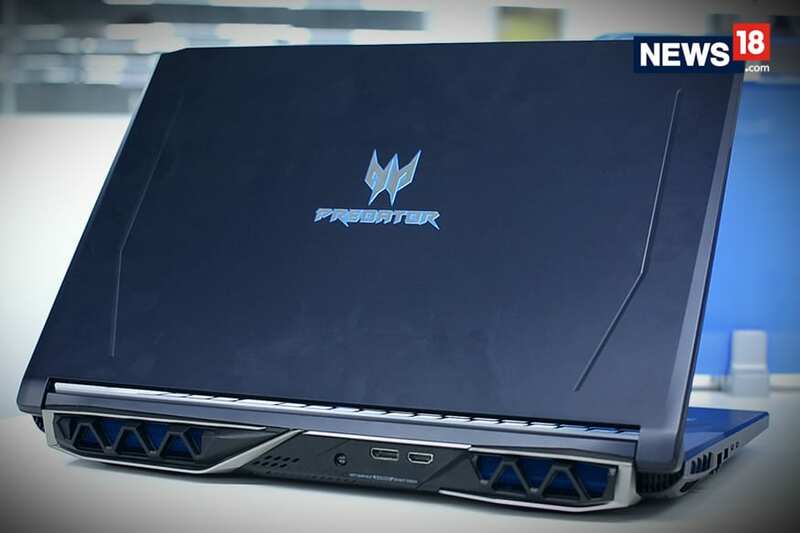 It has a strong blow but lacks on delivering instant cooling ability. It takes its own time to bring the temperature down, but once you give it that time, you won’t have any complaints. The only other that we wished for is a bit of nit-picking, yes, but we wished the AMT transmission option was available with a choice of the 1.05-litre Revotorq diesel engine as well. Simply because, if you mate the efficiency-focused AMT transmission to the already highly efficient diesel engine, then it really would have worked wonders. So at the end of the day, the AMT-equipped variant is definitely something you need to consider if you are in the market for a hassle-free hatchback. The car retains all the goodies from the manual transmission equipped siblings and the minimal design changes keep the price bump to under Rs 40,000 which the Tiago AMT justifies. Yes, it’s not for everyone but most of the people looking for an AMT-driven car want mileage and efficiency and the Tiago delivered on that front as well. It looks good, is loaded to the brim with features, is high on practicality and delivers the ease of clutchless driving. All of this makes the Tiago AMT one of the best cars in its segment.